Nigel West is director and partner of Tropical Direct, a UK-based company representing a dedicated group of growers supplying directly into supermarkets and processors. He also represents a select number of growers focused on supplying supermarkets across Europe, Asia and Canada. Having spent almost 40 years in the industry, Nigel started his association with Colombia in 1987 and believes the country has enormous potential to develop its fruit exports. Gonzalo Morales is supplier relationship manager for South American fresh produce at Tesco, the UK’s biggest grocery retailer. His is responsible for building and maintaining supplier relationships in the region and building Tesco’s long-term business strategy alongside central buying teams based in the UK and Asia. Álvaro Palacio is a fresh produce entrepreneur and managing director of Colombian fruit and vegetable association, Asohofrucol, a role he has held since 2012. He is the architect of the National Fruit and Vegetable Promotion Plan, a ten-year project to develop Colombia’s fresh produce industry that was launched in 2012. Mihai Ciobanu is founder and CEO of intelligence platform fresh4cast.com, specialised in artificial intelligence forecasting tools for the fruit and vegetable industry. After building successful businesses in consumer healthcare and FMCG, Mihai turned his attention to improving predictability in agribusiness. Fresh4cast works with growers and distributors in Europe and Latin America. Eric Zheng is global banana purchasing manager at Goodfarmer, one of China’s leading importers, exporters and distributors of fruits and vegetables. He joined the company in 2010 and previously worked as global purchasing manager for pineapples. Founded in 2002, Goodfarmer supplies supermarkets, specialist stores and e-commerce platforms through its extensive cold chain logistics and distribution network. Emilio Arévalo is an agronomist with extensive experience in the Colombian Agricultural Institute in the areas of epidemiology and plant health, and has participated in numerous bilateral negotiations with the health protection authorities of countries such as the US, Chile, China, Mexico, Peru and Australia. Joon Hong Choi is managing director of Soo Il Commerce, a South Korean company dedicated to the fresh fruit import business since 1989. As well as being Zespri and Sunkist’s partner in South Korea, Soo Il Commerce is and the country’s leading avocado importer, with a 50 per cent market share. Ricardo Sproesser is a consultant on ports, logistics and shipping, and the Latin America representative of Port of Antwerp, one of Europe’s biggest perishable ports and the number one entry point for bananas. Prior to that he was CCO at Libra Terminals, one of the first private container operators in Brazil. 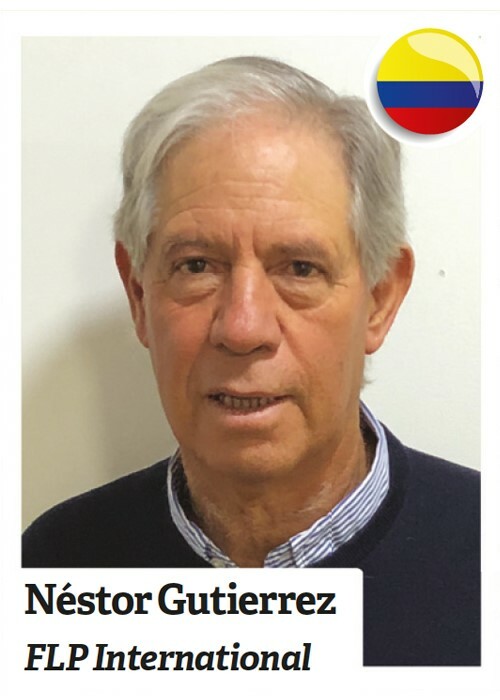 Néstor Gutiérrez is founder and director of FLP International, a pioneer in the export of tropical fruits from Colombia, Ecuador and Peru since 1987. Prior to that he worked in Mexico and Venezuela. FLP supplies 25 countries worldwide with a wide range of products including mango, avocado, passion fruit, baby bananas, physalis pitahaya. Angel Ber is project manager for Kantar Worldpanel. He has been at the company for 22 years, firstly in Spain and Portugal and for the past ten years in Latin America, where he has worked in Colombia, Peru, Ecuador and Guatemala. He specialises in analysing household purchasing behaviour through consumer panels and is currently leading projects involving Colombia and Venezuela. Felipe Fonseca is director general of the Rural Agricultural Development Planning Unit of the Ministry of Agriculture. The unit produces detailed maps showing which crops are best suited to different soils and climates in order to increase agricultural efficiency. Felipe has extensive experience working as a consultant on land use and natural resource planning. Heidi Zhang is purchasing manager at Shanghai Supafresh, one of the biggest importers and distributors of avocados in China. She has been in her current position for six years, during which she has built up extensive knowledge about the Chinese consumer market for avocados. Shanghai Supafresh imports more than US$20m of high quality fruit from all around the world every year. Javier Parra has worked in the Colombian horticultural industry for more than 20 years, including stints as head of purchasing for supermarkets and in the fresh-cut vegetables sector. He has also worked in product development and sales in the vegetable seeds business, and has extensive experience in integrated management of crops such as melon, tomato and pepper. Andreas Schindler is CEO of Don Limón, a family-owned company founded in 1952 to grow and market fresh fruits and vegetables. The company’s focus is on production from tropical and Southern Hemisphere countries which it sells to Europe, North America, the Middle East and Asia. The company’s ethos is built on forging sustainable partnerships with its grower partners. Grzegorz Kuśnierz is senior banana buyer at Consorfrut Poland, one of Poland’s leading importers and distributors of fresh fruit and vegetables. He has been in banana business for 15 years. As part of his role, Grzegorz is responsible for creating a pricing policy for retailers and wholesale markets. Pedro Aguilar is general manager of Westfalia Fruit Colombia, one of Colombia’s biggest avocado exporters. He was a pioneer in Colombia’s avocado export industry, persuading South Africa’s Westfalia to invest in the country in 2010. Four years later Westfalia Farms Colombia was established to develop a production base in the Department of Antioquia. Rodrigo Díaz is technology director, Latin America for Decco. 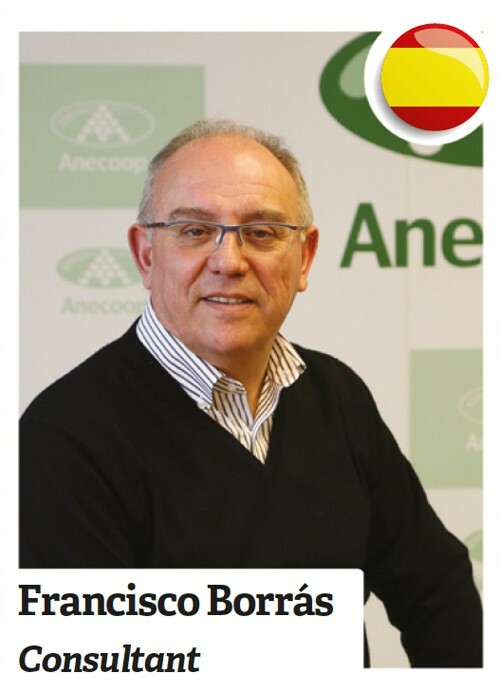 He has more than 23 years of experience in this field, working as a consultant and advisor to fruit exporters and packers in Chile and abroad. Rodrigo is an agronomist with a diploma in post-harvest physiology and phytopathology.